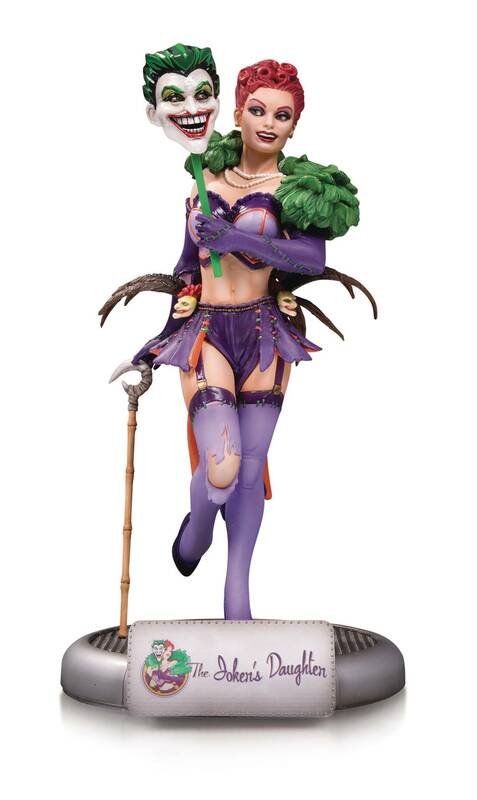 The classic case of mistaken identity, THE JOKER'S DAUGHTER is finally brought to the celebrated DC Bombshells statue line for the very first time! This '40s style 9' poly-resin statue is limited to just 5,000 pieces and includes the iconic DC BOMBSHELLS base and nameplate. DC Bombshells statues and busts are based on art from acclaimed artist Ant Lucia and have spawned the immensely popular digital comics DC COMICS: BOMBSHELLS and BOMBSHELLS: UNITED..